MUST SEE!!! Hard to find, practically new 4 bedroom, 2 bath home with OWNED SOLAR in a great Willows neighborhood! 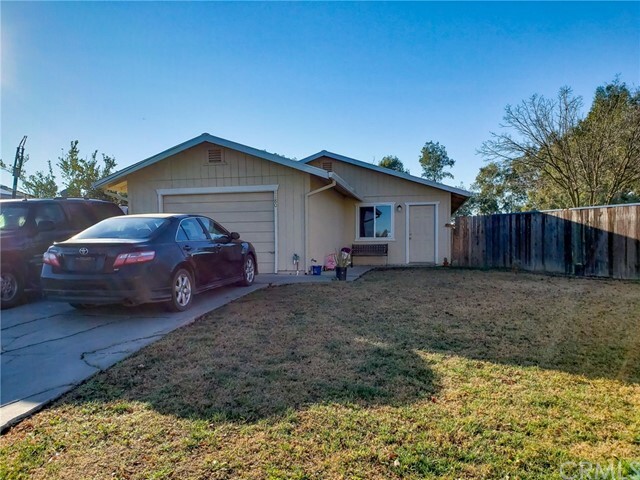 Remodeled in 2014, in addition to newer hot water heater, dishwasher, and heating and air unit, this home really has it all! Enjoy beautiful, low maintenance tile floors throughout and good-sized, carpeted bedrooms. Galley style kitchen allows for tons of cabinet storage and boasts electric stove, garbage disposal and recessed lighting. Owned solar panels have always covered entire electric usage and sometimes more up to this point (per owner). Save some money on those pesky PGE bills! Entertain or relax in the large, fully fenced backyard, just ready for you to landscape or plant a beautiful garden. Located close to schools and services, you really cant get any more convenient! Dont miss your opportunity!! Lot size, sq ft and year built all taken from county records, buyer to verify all information to satisfaction.